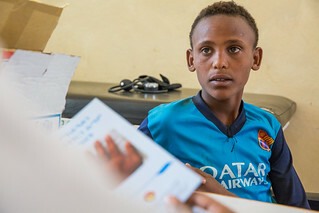 In September, Ethiopia and UNICEF announced that the country had reduced its under-five mortality by two-thirds between 1990 and 2012 – the required reduction for meeting the target of Millennium Development Goal 4 (MDG 4) on child survival. Ethiopia has undertaken significant work to introduce the rotavirus vaccine nationally. It has significantly expanded its cold chain facilities nationwide and deployed health extension workers to provide immunisation services in each village with at least 5,000 people, in a country with 84 million people spread across 1.1 million square kilometres. Ethiopia has started administering a vaccine against a rotavirus which leads to severe and often fatal diarrhea in children under the age of five, according to the Ministry of Health, UNICEF and the World Health Organization. 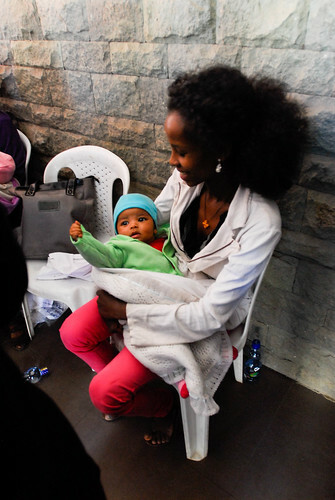 Administration of the vaccine is expected to protect 2.8 million children born in Ethiopia. The country has one of the highest fatality rates from rotavirus with more than 38,500 children under the age of five dying every year because of diarrhea, of which two-third of death related to the virus. The Ministry of Health (MoH) inaugurated a vaccine against rota virus which helps the nation to decrease under five mortality. Annually, 28,000 Ethiopian children under five die from diarrhoea caused by rota virus. 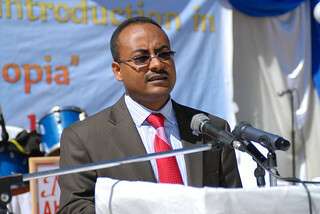 At the inaugural ceremony of the vaccine at Zewditu Referral Hospital yesterday, Health Minister Dr. Kesete-Birhan Admassu said that the scaling up of the immunization programme in the country has made significant contribution to achieve MDG-4 (reduction of child mortality) by 2/3, three years ahead of time. “Our collaborative effort of bringing more life-saving vaccines into routine immunization programme will continue to contribute immensely towards the saving of precious lives,” he added. 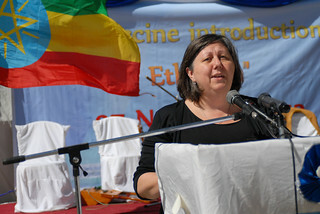 UNICEF Deputy Representative to Ethiopia Patrizia Di Giovanni said that prevention, rather than treatment of infection through immunization is one of the safest and least expensive means to avoid unnecessary child death. Ethiopia has expanded the programme of immunization with the support of GABI and partners. The implementation of the vaccine has been rapidly creating opportunities for providing fullest benefit of vaccines, She added. 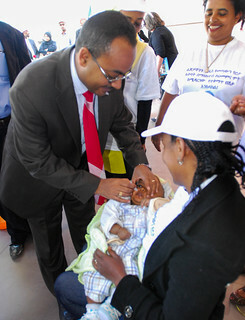 The Federal Ministry of Ethiopia launches Rotavirus Vaccine at Zewditu hospital, Addis Ababa, Ethiopia. This momentum in increasing efforts to reduce child mortality is a showcase to the country’s commitment to improve children’s health and survival. Ethiopia has recently become one of the countries who have achieved the Millennium Development Goal four of reducing child mortality by two thirds (MDG4), three years in advance. The event was marked by the presence of Minister of Health, H.E. Dr. Kesetebirhan Admasu and representatives from A.A city Administration Health bureau, WHO, GAVI alliance, PATH, CHAI, and the media. “The introduction of Rota vaccine will help Ethiopia consolidate its gain in reducing Infant mortality and end preventable child deaths” said Dr. Kesetebirhan in his opening remark. He stressed on the importance of partnership on Ethiopia’s Expanded Programme of Immunization (EPI) and acknowledged the support of UNICEF, GAVI Alliance, WHO, PATH, CHAI & others. Before the end of the event Dr. Kesetebirhan was joined by the high level delegation of partners to vaccinate children in the hospital. See pictures form the launch here.